Why dreams do you have for your future? You’re going to think I’m a little wacky for sending you such an email as this, but I got the notification that you’ve just subscribed to my blog – and I wanted to say THANK YOU. Really, heaps of thanks. It makes my day to know my words are being shared with others and to come across blogs that inspire me – which yours definitely has! I feel like I’ve been at a loss all this time without your blog. I love the concept of what you’re doing and the honest thoughts – very, very encouraging. I wanted to invite you – on the off chance that you haven’t chosen your “question” sometime next week or even the week after – to join some blogging friends and I in a link-up… blog posts about dreams and how they enrich, fuel and motivate our lives. But also how they change, how they come true, and how we struggle to reach them. Next week, on 9 May (8 May in the U.S.) several of us are posting blogs on our sites about this very topic. From one blogger to another, I wanted to invite you. I actually think it could a fascinating question — How do our dreams change with age? or What dreams do you have for your future? or anything really…. There are no rules only that the topic is “dreams.” Could be shared about in the form of photos, words, songs, or (in the case of your beautiful blog) a question. In doing this link-up, we (as bloggers) hope to remind all of our readers and each other how important sharing our deepest hopes and desires is… for support, for honesty and for accountability. That’s the idea. So on the 8 May next week, two posts will go up — one of them on my site (and the other a friend’s blog) with a tool that will allow you to easily add the URL of your “dreams” post, displaying for everyone to see and hopefully will bring new readers to your blog, too. Please feel no expectation to do this or pressure. Just a friendly invitation. Thanks again for following my blog and I am determined to read yours often. We believe dreams are made of the same filling as hope, joy and love – the things that give us breath to run, faith to believe, and a heart to sing. When we dream, nobody imposes limitations on us, and that which can be imagined and hoped for can be so. We’re writing about dreams this month because we believe when we share our dreams, we are dared to chase them. These dreams have inspired us, changed us, and fuelled our love for life and God. They’ve moved us jobs, continents and through relationships. They remind us that everything is possible. Will you take the time to write and remind yourself of your dreams and hopes this month? So here I am. I could not pass up the opportunity. This complete stranger asked me to be a part of something that I think it so beautiful. Our daily lives become chaos with one million responsibilities and sometimes we forget to dream. We forget what we hope for ourselves. As most of you know I try my hardest to live in the moment….to live in the NOW!! I do, however, believe in keeping dreams alive. We dream because we want things in life. We want to push ourselves just a little but further than we ever thought possible. When I dream I dream BIG! My dreams are not only for myself though. My dreams are for my friends, my family and the world as a whole. Not all dreams come true but in my lifetime my goal is to try to achieve as much as I possibly can in order to make my life and this place called Earth just that much better. I just finished my first meditation of the day and the thoughts came in and out during the meditation….the natural process of thoughts. I love this time of meditation because it is almost unexplainable. I can feel the negativity and the stresses expelling from my body but I am absorbed with creativity and desire. I think about the challenges I want to take on. I think about my dreams and my wants. Today I kept flashing back to a scene in my head of sitting in a big auditorium or classroom with a group of young girls and women and discussing the trials and tribulations of life. One of my dreams is to make this scene an actual reality. I dream to be a “motivational speaker” (for lack of a better title) and travel to different areas and speak to young girls about their hopes and dreams as well as those things that they believe are holding them back in life. I dream of talking to young girls about the flaws they see within themselves and strive to help them find and focus on their strengths. I dream to mentor young women and guide them in a direction where they see hope and they see so much opportunity. 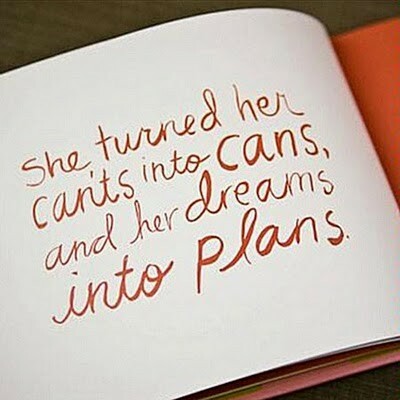 I dream of a world made up of strong and successful women that have worked so hard to achieve their dreams. I dream of a world of equality between the genders, races and creeds. In my lifetime I will probably never experience this but I dream to be a part of the process to try to get there. There are an endless amount of dreams I hope to happen in my future. I dream of learning different languages and visiting other countries with the ability of communication with the people of that culture with ease (or even just being able to speak with people of different ethnicities in this country). I dream of making a documentary that allows people to see the beauty in this world when all we ever see on the news and media is violence, hatred, and chaos. I dream of learning to play the piano and escaping to this art form when I am feeling a need for creative outlet. I dream of learning to paint and learning the art of photography. I dream of visiting a foreign land and stepping far outside of my comfort zone to see how other people live. I dream of publishing a book(s) and seeing my name in print in various newspapers across the country. I told you…when I dream I dream BIG!!! I dream of my future as being a place of continual inspiration. I spent enough years living a life that was not right for me. I didn’t believe in possibilities and now that this all I believe in. I dream of a life in which I can help change lives for the better. Dreaming is so important because in my opinion it is who we are. Dreaming is our ultimate wants in life and they are that “entity” that has the power to push us to achieve those dreams. I watch documentaries a lot and I purposely find articles and books with an inspirational tone (even when they are stories of poverty and death of a child, etc) because they push me that much more the better my life and also give me the desire and the need to help others in their times of need. Everyone needs a helping hand from time to time and I want to be a person to offer my helping hand….even if it is to a perfect stranger. I dream of a world in which we can all do this for each other. I dream of a world in which we can ride ourselves of the “ME ME ME Syndrome” and become an actual UNITED nation….a UNITED world. I dream of the world seeing differences as an opportunity to learn instead of an opportunity to fight. Beating and killing others to try to make them think and do as we do will never solve anything. I could go on forever about my dreams….what I have said above is so minimal in comparison to the big and small dreams I have within myself and the dreams I have for my future. I hope this answer was up the alley of what my new virtual friend was looking for. I hope all of my readers never stop dreaming and never stop believing in this beauty they have within themselves. Beautiful thoughts and inspirational. We are nothing without our dreams that give us hope and courage to move ahead and visualize change. Thank you. For the past month a group of you have been extending your friendship hand by reading my posts and sharing your thoughts, nominating me for the VBA & THE LINK TO LINK AWARD, INSPIRATIONAL AWARD, COMMENTATOR AND SUNSHINE AWARDS, each a tribute and beautiful sweet honors gratuitously sent my way. Each are wholeheartedly accepted and acknowledged in this post despite my inability to post each photo of each of these marvelous awards. Unfortunately, I’ve yet to master how to work with all these settings and technical availabilities, nevertheless, I still wanted to write down the nominees I wish to extend these same AWARDS to EACH of the magnificent and gifted writers, photographers, poets, musicians, artists and bearers of the light. Each one have souls that burn with the greatest gifts~ FAITH, HOPE & CHARITY. Each one use their senses of sight, hearing, touch, and smell to their maximum use then bring these into unique affinities that shine through in their own beautiful way and methods. A person in my physical condition with severe limitations and usually bedridden in my parents home, your blogs allow me to travel, hear new viewpoints, see unbelievable sights, cry with your joys and pains, discover things I never thought I’d like since I’ve been somewhat secluded but never naive. Your blogs are new and beautiful paths strewn with rich colors of understanding, insight, passions and, creating a more “well-rounded soul (something my younger sister always said I lacked). HERE ARE THE NOMINEE’S & Give these with sincere admiration and friendship and deep gratitude for your kindness and time which you allott me throughout your week. Bless each one of you in all your endeavors and personal desires to reaching your dreams. You have my support. My following post will be my sharing 10 things about Myself ~if you’re interested..
Really, really beautiful. Your words are heaps of encouragement (not just to this blog project) but to me and my life. I admire people who dream BIG so much because you have found ways to live free of the chains of reality. It’s mesmerizing and enchanting and inspiring in every way. Thank you x a million. And I can’t help but feel that when you said this part: “Everyone needs a helping hand from time to time and I want to be a person to offer my helping hand….even if it is to a perfect stranger.” — That perfect stranger you’ve lent a helping hand to is me today. XO. Ditto. Cheers to new friendships. Love the slogan. It’s a wonderful way to remind oneself to keep the dreams alive. Thank you! Reblogged this on Ethereal Heights. Diane, I never tire of your posts. They always hit home with me and so often get me to thinking. Today’s question about dreams is appropriate. I was always called a daydreamer and not in a nice way. No one could understand my need to draw, look, imagine, dream up stories. It was shunned. When I said I want to be a photographer, they laughed. It didn’t matter my dreams they were always shot down. Now I am actually living my dreams of writing, drawing and taking photos by the hundreds. A very late bloomer, it has taken me a lifetime to acknowledge who I am an embrace it. My only regret is it took me so long to break loose from the shackles of suppressed dreams and quit trying to please everyone around me by living their dreams for me. When I accepted who I am I discovered I like me. When I took me serious others began to as well. Hubs is in my corner. And being happy from the inside does make a big difference in how others relate to me.